Spotting good investment properties is not always easy and, if anything, it has got harder in the past few years. Yet, as we know from our own experience, and from talking to clients, there are still some excellent investment properties in prime central London. 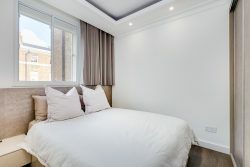 This is typified by the pretty one-bedroom flat on Pont Street, London SW1X (https://www.henryandjames.co.uk/d-7-pont-street-sw1x-9ej/). It is small by Belgravia standards, and we have put it on the market for £825,000. However, as an investment, it ticks just about every box. Location. It is an old cliché, but as relevant as ever in a tight, competitive market. The Pont Street apartment is so close to Knightsbridge that you can practically smell the cheeses in the Harrods food hall. It is also almost opposite Agent Provocateur and Anya Hindmarch. A good rental yield. The gross rental yield on the Pont Street property, with a weekly rent of £520, is around 3.3 per cent. This is a respectable figure in the present climate and one that should catch the attention of many shrewd investors. Reasonable maintenance charges. Excessive service charges can slash net rental yields to next to nothing. The annual charge of approximately £1,700 at the Pont Street property is modest by central London standards. There are also no major building works in the pipeline – another big plus, because such works are notorious for swallowing up profits. Condition. Properties that are in tip-top decorative order often rent more quickly. Those that are tired-looking or in urgent need of a new kitchen/bathroom do not. It is often worth updating a property’s bathroom or kitchen if it is need of a refresh, before putting it on the market. Good use of space. 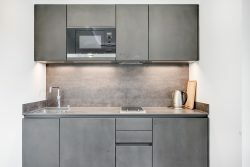 With inner city apartments, it is important that the accommodation is adaptable. The Pont Street flat has sliding doors that disappear into the walls – and contains as much storage space as reasonably possible. Instant let-ability. This is probably the most important box of all. Void periods, when properties are unlet, for whatever reason, hit landlords where it hurts most – in the pocket. 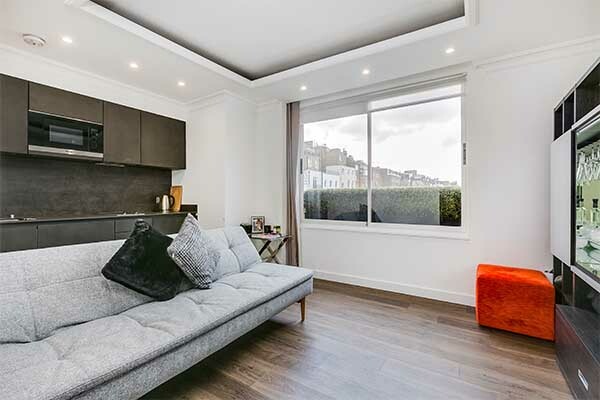 At the Pont Street apartment, because it ticks all the other boxes, the first tenants moved in just three days after it came on the market and the new tenant will move in on the same day the first tenant leaves. There is obviously no such thing as a perfect, fail-safe investment property. If there was, everyone would be snapping them up. Yet, for the shrewd, hard-headed investor, there is no shortage of prime central London properties offering attractive rental yields. 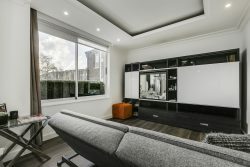 To find out more about the one-bedroom apartment for sale (£825,000) on Pont Street, Belgravia, visit (https://www.henryandjames.co.uk/d-7-pont-street-sw1x-9ej/).